The flight plan of the Finnish delegates to the International Session in Tbilisi was as diverse as the European map, flying via Kiev, Warsaw, Munich or Istanbul. At this session Finland was widely represented by eight delegates as well as three Finnish chairpersons and Jari, the president of EYP Finland, as president of the session. A windy Friday morning we gathered up for the first time as a delegation when waiting for a bus to take us to the first session venue, with one Finnish delegate still to arrive later that day. This was two weeks ago. My friends and family all comment on the duration of an International Session in the same way: ten days is a long time. During the ten days I’ve experienced a huge amount of European and especially Georgian culture. I’ve met so many awesome people that I can honestly say I know someone in well over half the countries of this continent. I’ve gained some insight in fifteen of the most challenging questions in European politics. How this is possible in ten days I do not know, because from the perspective of a delegate the ten-day period certainly didn’t feel like a long time. Saturday morning, around 4:00 a.m., I woke up to a cheerful “Hi Guys!” from two delegates of my committee arriving at the hotel room. I presented myself briefly and fell back asleep right away. Since the last arriving delegate in my committee was Georgian, this meant that from now on we had all arrived in Georgia, this is when the session really started. The weekend was spent entirely getting to know the members of the own committee, creating a good group spirit through different games and exercises. My committee, LIBE 1, charged with tackling data protection issues in Europe, had 14 delegates, all from different countries, and the cohesion we had after the teambuilding days was amazing. I’m very proud of having been a part of it. Saturday evening it was time for the traditional Eurovillage – the national delegations sharing their culinary traditions with each other. Beside the more obvious choices like chocolate and rye bread, we in the Finnish delegation presented a few things that probably aren’t found at every Finnish breakfast table: reindeer meat and bear meat. Naturally we got many visitors to the Finnish table with this menu, some were immediately beguiled by it and some wanted our most skilled sales pitch before they tried it out. The teambuilding had taken place at a lakeside resort outside of Tbilisi, and when moving on to the committee-work part of the session we transferred to two hotels inside the capital. Committee work lasted for three days, and like at all EYP-sessions, time just seemed to fly. In my committee we battled this as well as we could. We had a lot to go through as a group regarding the present situation in the data security field, but our chairperson also divided us up a few times into smaller groups, making deeper brainstorming less time-consuming. On some questions we naturally had very passionate debates, but after many intriguing hours of discussion we all agreed at the end on the measures needed. After skipping as many coffee breaks as possible on the day of finalizing our resolution and with only seconds to spare we actually made it. This was definitely the most hectic group task I’ve worked with, but it was also the greatest teamwork experience by far. Being so international, open and flexible to compromise, we couldn’t have asked for a better team and team spirit, and from what I’ve heard I know we share this feeling with all the other Tbilisi committees. After a day of exploring a medieval Georgian town as a pause from business, there were suddenly only two days left of the Tbilisi IS, the days of General Assembly. The procedure was familiar, the debate was great, and the resolutions were all quite strong, a result of remarkable performance by all fifteen committees. At this point my sincerest thanks goes to all of the organizers, all officials, and from me especially to our chairperson Hanna, and, of course, congratulations for a job well done to Jari Marjelund, who presided over the session as a culmination of his EYP career. I got comments about him from many delegates during the session, none much different from the last one I heard: “He is one seriously cool guy.” The Finnish delegation can only agree. After the last debates there was a very emotional closing ceremony, then the last group hugs in the committees, then a great farewell party and then, well, suddenly all that was left was goodbye to Tbilisi, to all new friends and to the 74th International Session of the European Youth Parliament. 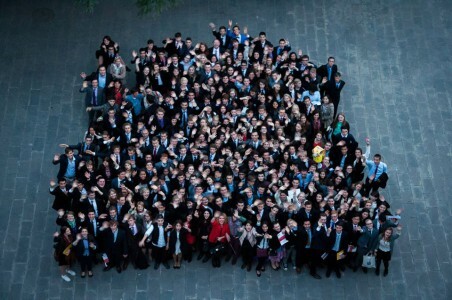 For me this isn’t goodbye at all, though; Tbilisi only inspired me to stay active in the EYP. I opened my calendar as soon as I got home in order to check which session I want to apply to next.